It always takes me by surprise when a couple's wedding day approaches. 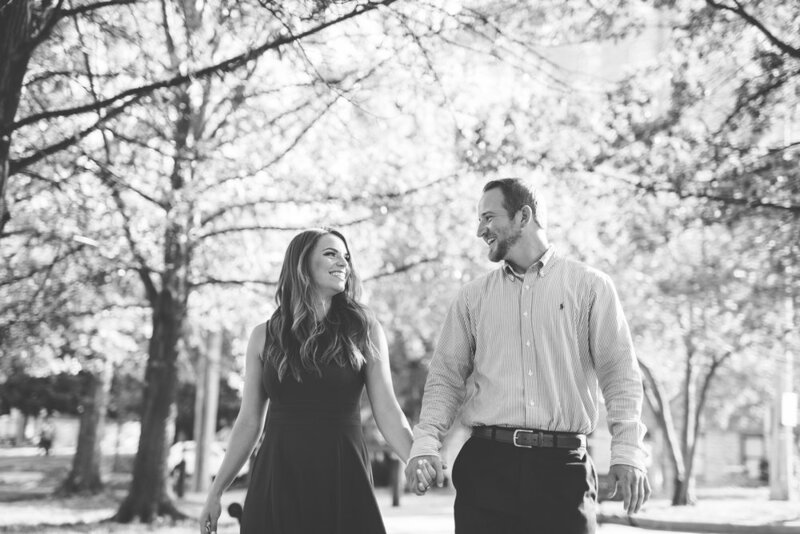 Sometimes it feels like we just shot an engagement session the previous week, and then BAM.. wedding day is here! 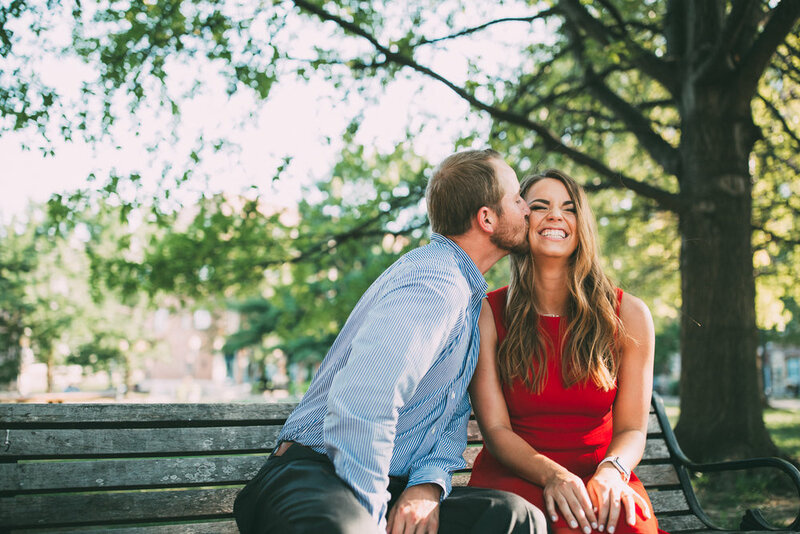 It's one of the best, most rewarding, parts of our jobs getting to connect with our couples on a personal level. 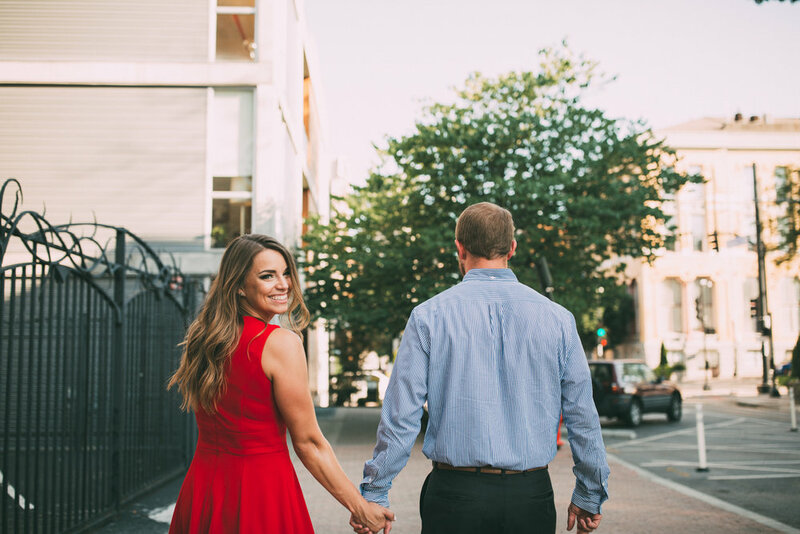 After an engagement session, we're so often able to come away with newfound friends, and that's a pretty meaningful thing for us. Amanda and Stephen are no exception. 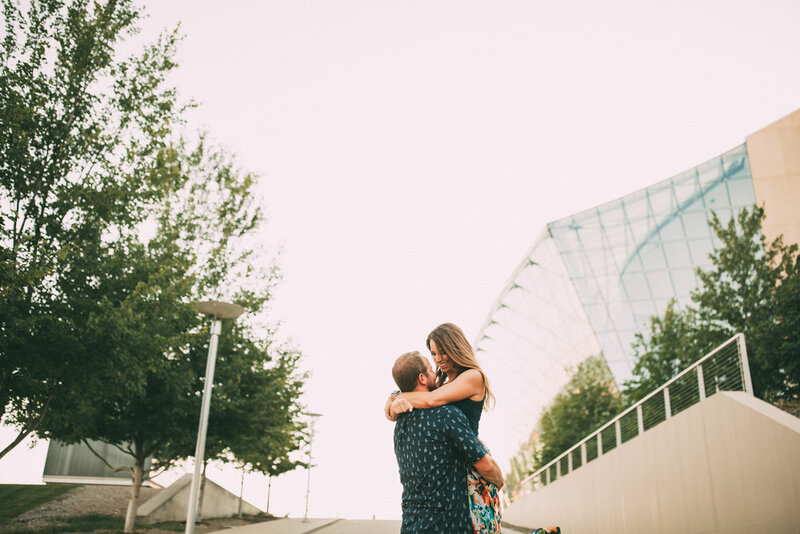 Although their engagement shoot happened on one of the hottest days of the year last year during the dreaded peak of that Kansas City summer, these guys killed it! Not only did they look amazing, but their spirits were high, and the heat didn't seem to be able to touch them (aside from the sweat on their foreheads :). Maybe it was the glow of going through the process of cementing these moments as one of the first touchstones on their future life together. Maybe it was that they just love being with each other no matter what else is happening around them. 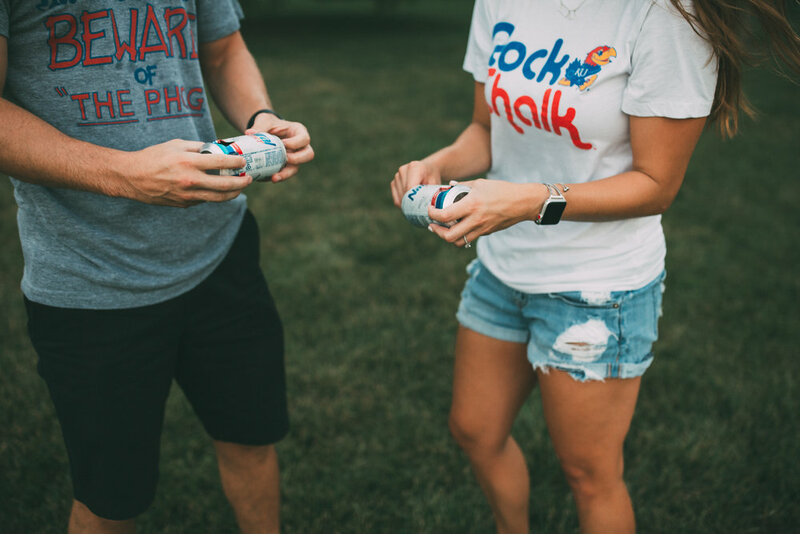 Maybe it's because they had already got the afternoon off ... or maybe it was because the end of the day (shotgunning a couple Natty Lites in cognito at Loose Park) was in their minds throughout the shoot. Maybe it was a combination of all of that. 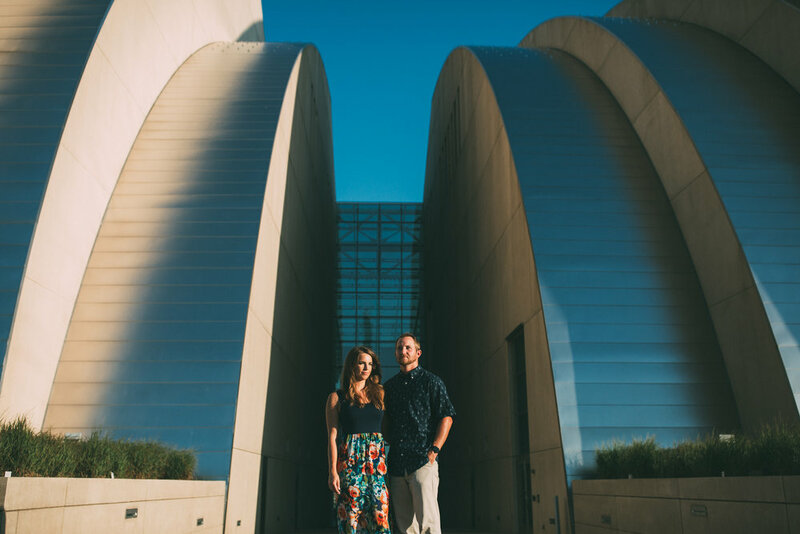 Whatever it was, these two enjoyed their time taking engagement photos around KC, and I surely enjoyed my time with them! 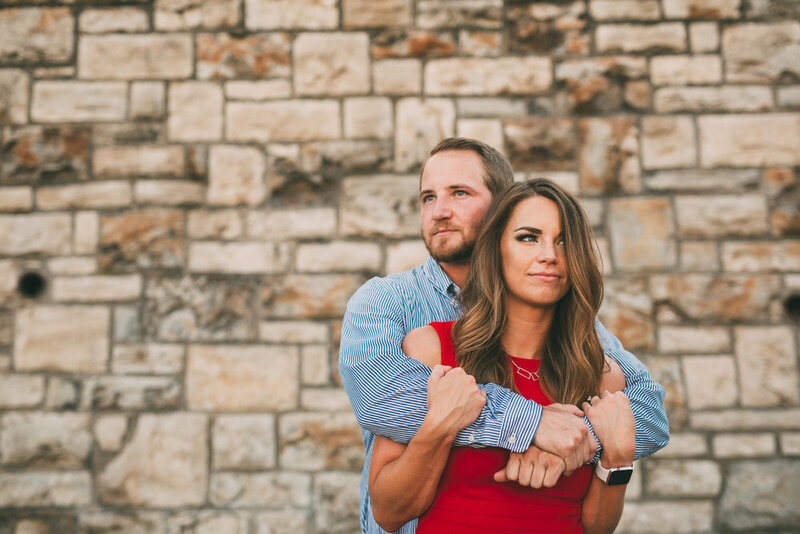 Amanda and Stephen... we're so excited to celebrate with you here in a couple of weeks and can't wait to see how everything unfolds on your big day!! This fun, rustic wedding was photographed by Nagel Portraits, with a ceremony and reception at the barn at Schwinn Produce Farm. I posted this image on Instagram yesterday and I can't stop thinking about it. I'm thinking about how much fun I had with Paige and Martin. I'm thinking about how sweet and kind... and happy they were (and not just, "it's my wedding day and I'm over-the-moon excited to be marrying the love of my life," but a true happiness that comes from the deep parts of the human soul). Lindsey and Dustin were married on June 3rd with their ceremony and reception held at The Legacy at Green Hills in Kansas City, MO. As unassuming and down-to-earth these two are, we quickly realized how easy it is for them and their entire squad to let loose and have some serious fun... as evidenced by the 200-yard trek/processional through the woods, Bud Light in hand, as their quests awaited the ceremony on the eastern shore of a quite pond at the back end of the property. It was impossible to look in any direction that day and not see at least one or two people laughing! Lindsey and Dustin were relaxed and ready to let the day just wash over them, stress free, in a wave of friendship, family, and joy. Kristina's and Jacob's wedding was a classy affair to say the least, and the venue only added to the ambiance! We've wanted to shoot a wedding at Union Station since we arrived in Kansas City 3 years ago. There's so much history packed into the building and it's a beautiful work of architecture. Mark actually started his career as an architectural photographer, so he's always amped when he sees the opportunity to combine his love of architecture with that of photographing people... so this was perfect.